The "Language of Moving Images"
“Put cameras into the hands of young people and you have empowered them to tell stories and to create their own personal narratives. Fluid environments are defined by Annette Lamb as places that “use multiple modes of communication to experience and convey a complex, interactive message” where the “strengths of each media create synergy”. When designing fluid teaching and learning environments, Lamb suggests the key is “connecting students to resources as well as tools for building social and collaborative connections”. "What are the big questions?" "What resources will help my students explore the big question or essential ideas?" "How can I share, communicate, and engage students in this message while keeping it connected to the curriculum expectations for media literacy?" 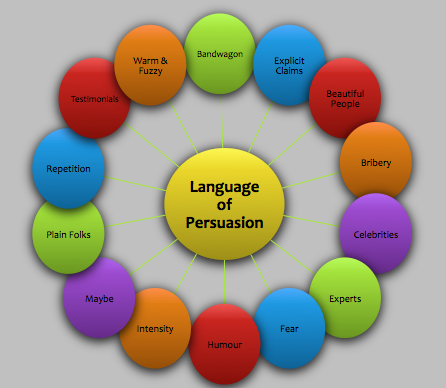 RECALL the techniques used by advertisers to persuade. 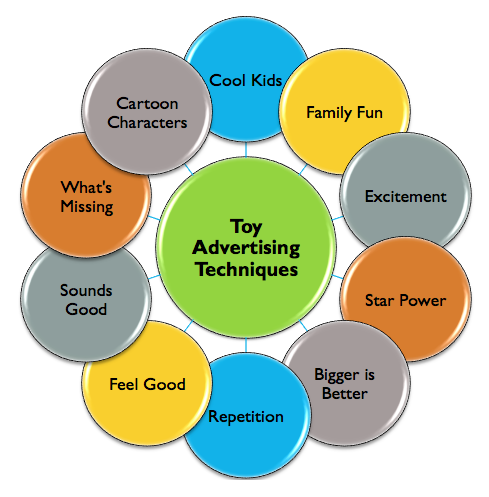 Access the TOY AD ANALYSIS WORKSHEET as found in Media Literacy in the K-12 Classroom page 112. FIRST: View the video to the right using the analysis worksheet. NEXT: Access one of the following links (based on the groups assigned in class). View one of the tv ads listed below and complete all sections of the analysis worksheet set up in a google spreadsheet for this task. The Best Toy ad Internet Advertising Awards and particularly the 2013 Winner of the IAD award Nerf N-Strike Elite and 2014 Winner 'Image 3D'. What new techniques are applied? What familiar techniques do you see being used? Visit Frank Baker's website to learn more about toy commercials and link to additional resources, particularly his article titled Toy Ad Tricks - Would You Fall For Them? View these video clips without the images – sound only – write down what you hear. View the same clip a second time with sound and images - write down all you hear and see. What is being sold? What techniques are applied to sell this message? View one final time - with a partner deconstruct one element of the language of moving images - the cameras, lighting, audio (music, sounds, voice), setting, editing, actors. Reflect and Connect: Be prepared to share your findings and insights from the process and product of this exercise. FIRST: View a clip from the movie ET. Be prepared to discuss what you see? Hear? Feel? 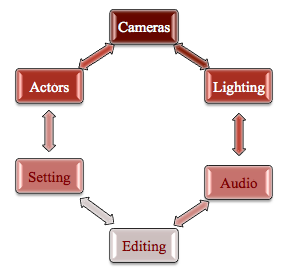 THEN: Deconstruct the elements of the language of moving images - cameras, lighting, audio (music, sounds, voices), setting, editing, actors - using the viewing guides presented in Media Literacy in the K-12 Classroom, Film Analysis Cards (pg. 126-127). This will identify the focus while you are watching the film clip. During this second viewing, write down what did you see, hear and feel from the focus identified on your card. REFLECT: How did this focus change your viewing experience from the first to the second viewing? Why? Tinkering and playing with advertisement creation can involve using a storyboard script file such as the sample provided here. It can be used and applied to BOTH the deconstruction of media messages in the analyzing process AND in the construction of media production when creating advertisements or stories in the classroom. Keep this template handy as you begin your own media crafting. Explore the application of moving images and fluid environments to your work as an educator in the Ontario context. Examine the Language Arts Curriculum Document - Media Expectations to determine which ones can be applied to the analysis, access, deconstruction, creation, writing, production and showcasing of moving images. This can be for any topic, but our focus here is on toy advertising, general advertising and public service announcements. Share your findings and ideas with the whole group. How will you continue to apply media literacy to your personal viewing of advertisements and moving images? Which element captures your attention and peaks your interest? What issue will you translate into a PSA campaign in the classroom or outside of the classroom? What do you need to learn more about before you can effectively teach about the 'language of moving images'? Part of today's media making environment includes open and accessible video response systems such as Flipgrid. The option for ONE free grid to share student responses can be a powerful teaching/learning tool where media and digital literacies can become integrated into the access, use and create sequence. Post a response if you'd like. This grid will CLOSE and become password protected after today's class.